Nearly 1,000 people have backed the pleas of a Moray firm to be allowed to create a new £3.5million base on the outskirts of Elgin. Grampian Furnishers want to move from their current Lossiemouth home, which used to be a cinema, to a custom-built showroom on the outskirts of Elgin. The move would create 50 jobs. However, the firm’s vision for a massive building next to the A96 Aberdeen road on the eastern approach to the town could fall foul of planning rules. Now the company’s managing director Royce Clark has launched a petition calling for the proposals to be approved to create jobs and prevent firms and customers turning to Aberdeen and Inverness. And already more than 800 people have backed his call. Mr Clark said: “After spending two years looking for an existing building or land in or around the town centre it became clear the only viable option was to build a new high quality building on the outskirts. “Common sense would suggest that attracting more people to the area can only have a positive impact on other businesses, including the town centre. Planning rules currently do not allow for the land near the bank of the River Lossie and the Reiket Lane roundabout to be used for retail. 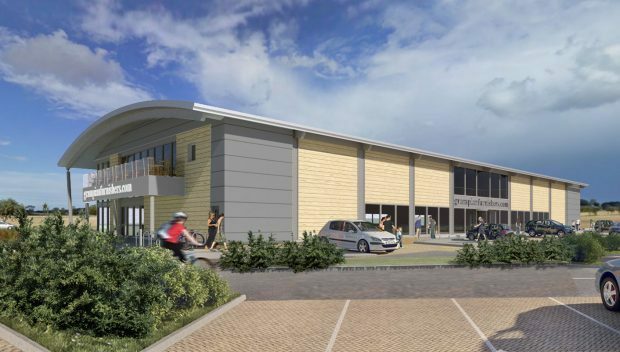 Moray Council’s planning committee is expected to have the final say about the proposal, which also includes a cafe and 100 car park spaces and will result in derelict buildings being knocked down. The plans have attracted objections from Elgin’s business improvement district and rival firm Anderson and England – both urging against new out of town developments. However, hundreds that have signed the petition believe the showroom would have a positive impact on the area.